I recently had dinner at my neighborhood sushi restaurant, and remembered the last time I ate there was when my best friend was visiting over Memorial Day weekend. We ordered their mango and avocado salad, which was seriously amazing. I didn’t order it this time (sigh), but kept thinking about it after I got home, and decided to make a similar version after a trip to Trader Joe’s the following day. There is so much flavor in this quick fruit salad, not to mention, it’s extremely healthy. Two days later, I’m still enjoying it!!! In a large serving bowl, whisk together vinegar, lime juice, salt and pepper to taste. Slowly whisk in oil. 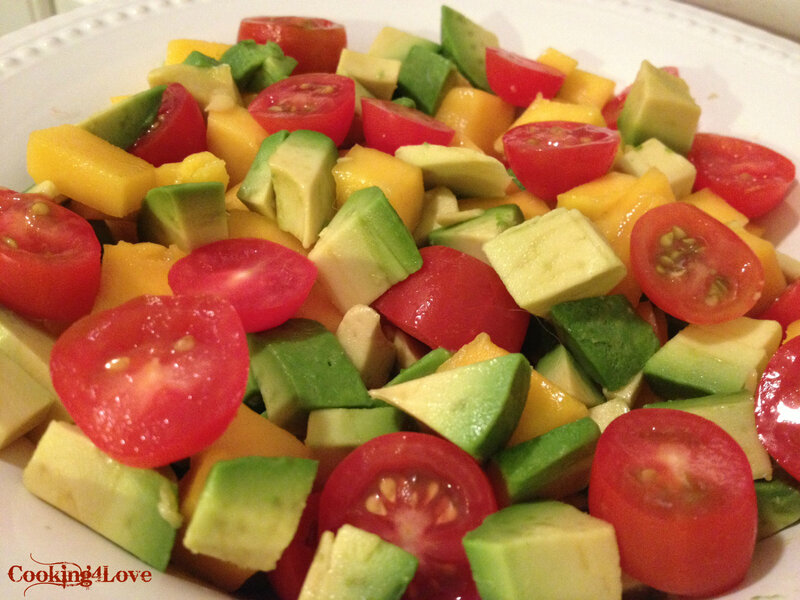 Toss in mangoes, avocado and tomatoes to coat. 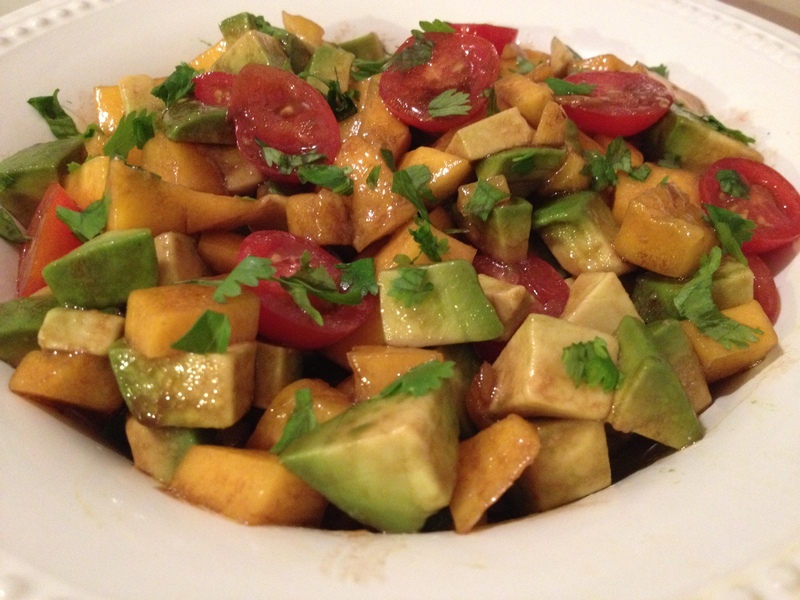 This entry was posted in Main Courses / Dinner, Recipes, Side Dishes, Vegetarian and tagged avocado, balsamic, cilantro, healthy, lime juice, mango, salad, tomatoes, vegan. Bookmark the permalink.